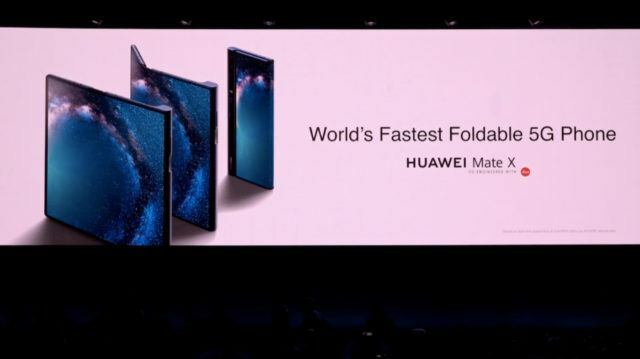 It hasn’t even been a week when Samsung announced its first foldable phone Galaxy Fold, and we already have a rival in the form of Huawei Mate X.
Huawei just announced its first foldable phone Mate X at MWC 2019. 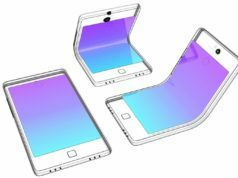 This foldable phone is thinner, has a bigger screen and also folds flatter than Samsung Galaxy Fold. The Mate X comes with an 8-inch screen with a resolution of 2480×2200 pixels. On folding the device, the main screen reduces to 6.6 inches with a resolution of 2480×1148 pixels. 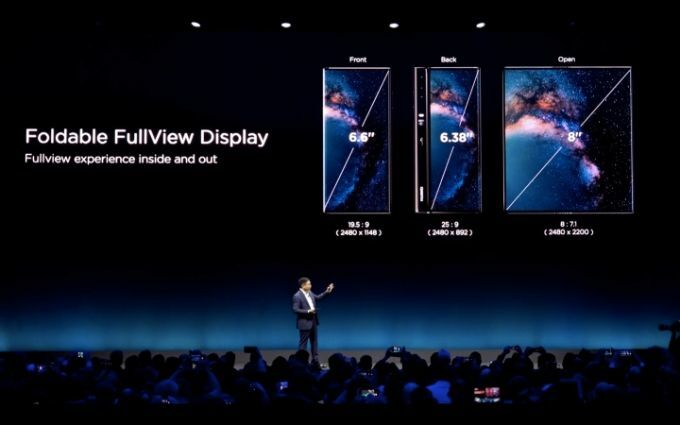 Mate X folds outwards, opposite to the Galaxy Fold and its wraparound OLED display has an aspect ratio of 19.5:9. Its folded thickness is 11mm which is pretty slim for a foldable device at present and you essentially get a dual-screen smartphone on folding the device. 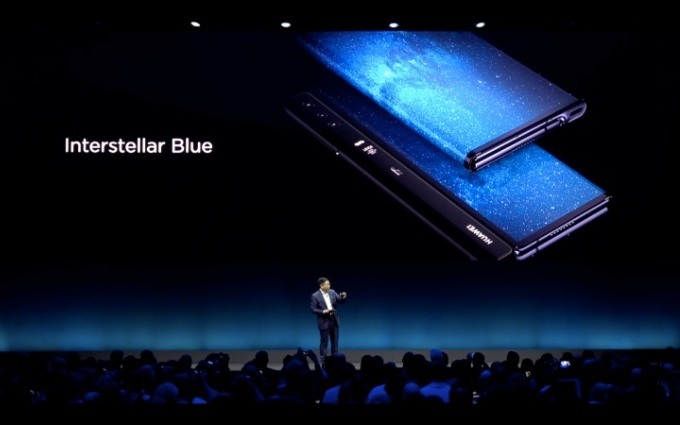 In addition to this, the Chinese smartphone maker has developed a formidable spec sheet for its foldable phone where the main highlights are 5G, a 4,500mAh battery, and Huawei’s in-house Kirin 980 processor. 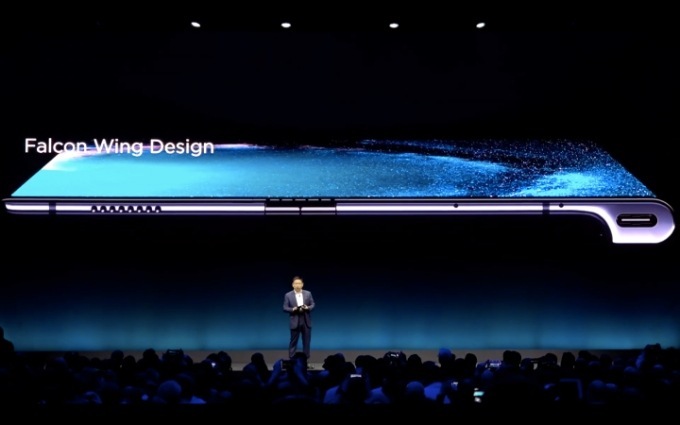 Alongside the chip, Huawei has added its own Balong 5000 5G modem to allow maximum performance by pairing it with 7nm chips. It also has a dual-SIM card slot, but users can choose to add one of Huawei’s Nano Memory Cards instead. 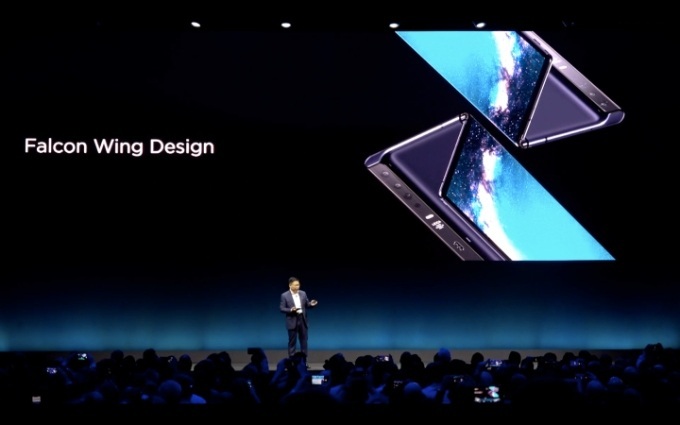 Sadly, neither the Mate X offers a headphone jack, nor the Samsung Galaxy Fold. 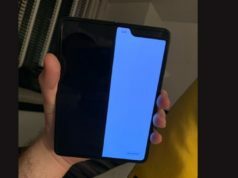 There is no camera bump or a notch either but the bezels are quite thin. Not much is revealed about the camera specs, but the sidebar houses three Leica cameras and a power button which also houses a fingerprint sensor. 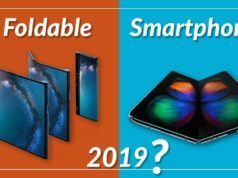 The near future of foldable phones seems to be expensive as the Huawei Mate X will start at €2,299 (about $2,600) with 8GB of RAM and 512GB of storage in comparison to Samsung’s Galaxy Fold which also has a hefty price tag of $1,980. 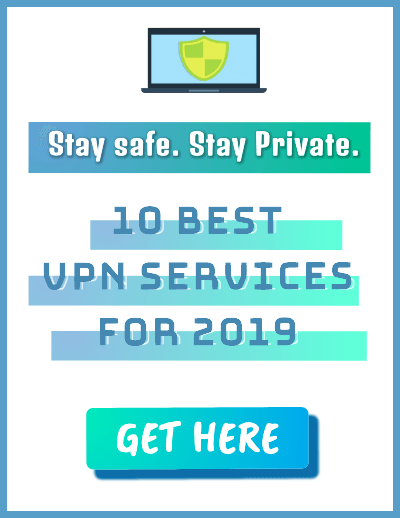 However, interested buyers will have to wait to get their hands on the device as Huawei says the Mate X will be available in the middle of 2019.